Hello! I have been working for AIFS in London since 2000 helping support students on our study abroad programs. My degree is in American Studies, and I have spent time studying abroad in the U.S. and have traveled extensively in Europe. Away from work I enjoy skiing, running, going to concerts, and theater. 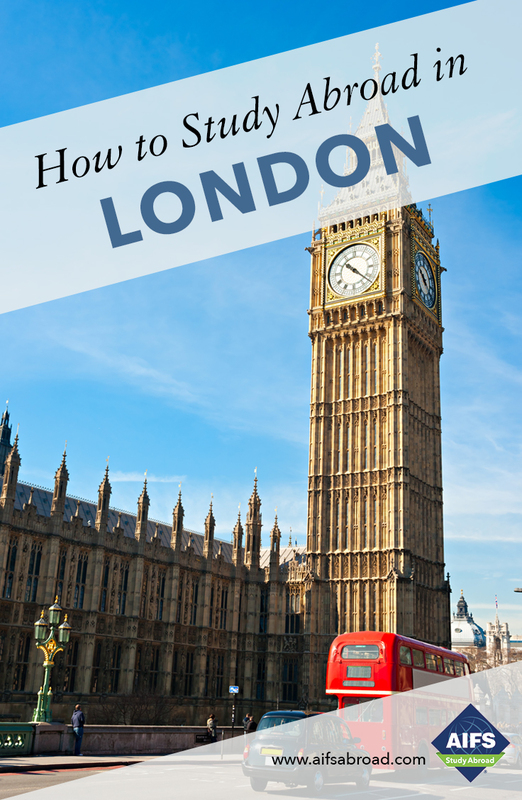 I know first hand how study abroad can be a life changing experience, and I look forward to helping you make the most of your time in the wonderful city of London. You will live in a double or triple room in a University residence hall in the exclusive Royal Borough of Kensington and Chelsea. On-campus facilities include 24-hour reception/security, library, computer lab, coffee-shop, student affairs office and common room with T.V. and DVD player. Students are provided with five meals per week in the Richmond student cafeteria. Valid for the buses and underground subway system in central London for the duration of your stay. Theater performances – Attend 3 performances at the Globe and experience Shakespeare’s work just as theater-goers did in the 1600s. Guided theater tour – Take a fascinating guided tour of the theater space, then walk through the Globe exhibition, learning about the rebuilding of the theater, the unusual musical instruments used on stage, the special effects used in Elizabethan times and today, the design, making and fitting of costumes and how Shakespeare’s plays were originally recorded in print. Please note that students may need to pay a small additional fee for some of the activities above.